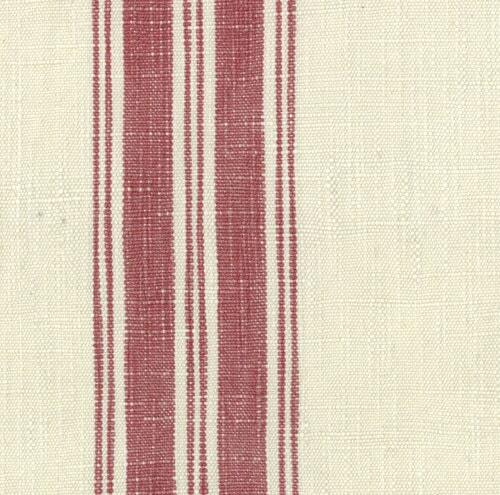 2 3/4 red stripes on each side of a creamy background. Make kitchen towels, curtains, pillows, or apron. 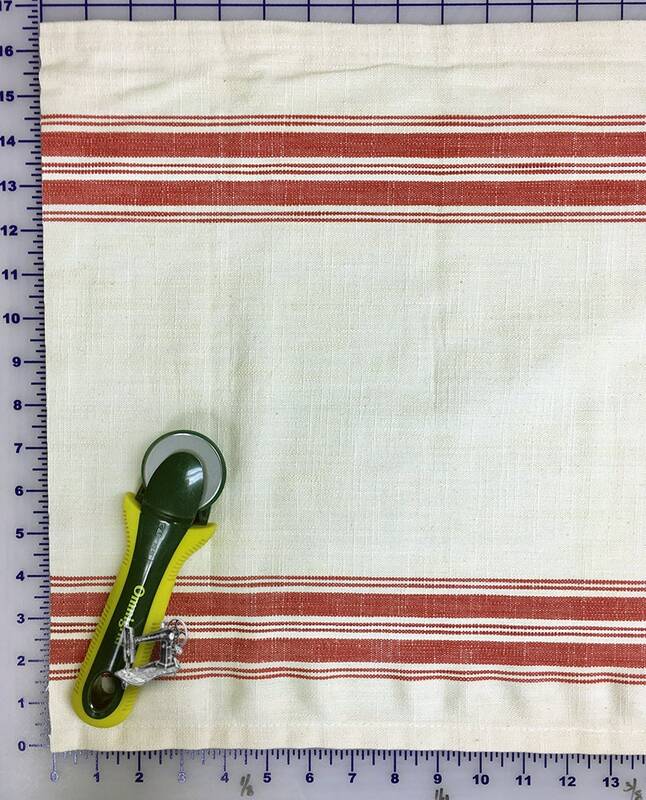 All toweling fabric is 16" wide & hemmed on the sides.